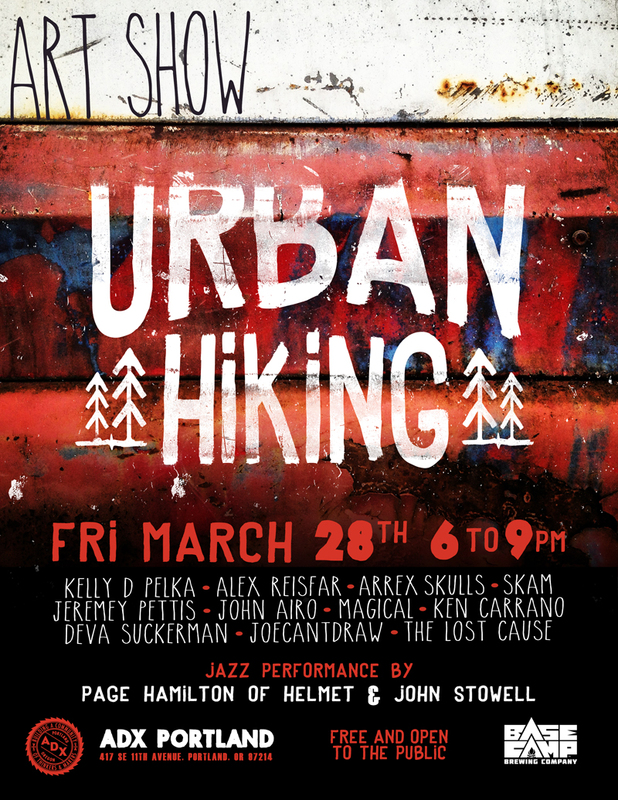 Art Show and Music Event at ADX Portland on March 28th! 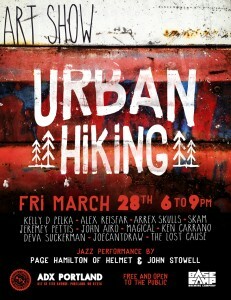 Urban Hiking Art Show at ADX Portland! Phtography by Kelly D. Pelka, poster design by Joe Schmidt. I’m hosting an art show at ADX in Portland on Friday March 28th from 6-9pm! Art by these rad folks: Kelly D Pelka (paranoidgirl), Alex Reisfar, Arrex Skulls, Skam, Jeremy Pettis, John Airo, Magical, Ken Carrano, Deva Suckerman, JoeCantDraw, The Lost Cause, Tv With Cheese and Heidi Wirz (Shebeast). Jazz performance by Page Hamilton (Helmet) and Internationally acclaimed Jazz musician John Stowell! Urban Hiking is Free and open to the public, all ages welcome 21+ to drink. This entry was posted in Art Shows, Urban Hiking. Bookmark the permalink. Post a comment or leave a trackback: Trackback URL.